DISCLAMER: IAOS does not endorse or deny the authenticity of the information provided in the seminar. Participants are encouraged to attend but it is recommended that they research the information provided to check the validity from a halal perspective. – What is Shariah Compliance investing? Khaled Sultan is an Investment Advisor and Chartered Financial Analyst. He works on managing wealth for affluent clients and their families in a Shariah compliant manner. Mr. Sultan has 17 years of industry experience. Mr. Sultan has worked at an investment bank covering the precious metals sector in institutional equity research. Prior to that, Mr. Sultan was in charge of the launch and overall management of a firm dedicated to providing research and due diligence solutions to investors in the resource sector. He has also held key leadership positions at ExxonMobil and Imperial Oil. Mr. Sultan has been involved with Shariah compliant investing since 1999. He frequently lectures on the topic at Islamic Conferences, Universities and Mosques across the country. 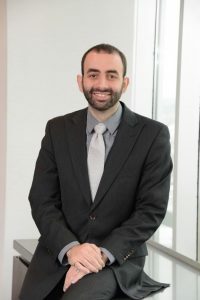 Mr. Sultan’s qualifications include a Bachelor of Engineering Science and a Bachelor of Science, both from the University of Western Ontario, as well as an MBA from the Rotman School of Management at the University of Toronto. He holds the Chartered Financial Analyst (CFA) and Professional Engineer (P.Eng) designations. Mr. Sultan sits on the boards of a number of non-profit and charitable organizations including the Merrymount Children’s Centre, the World Parkinson’s Program, and the Muslim Association of Canada. He was also involved with a number of local and national non-profit organizations and initiatives including CIBC’s Run for the Cure, Princess Margret’s Walk to End Breast Cancer, Make A Wish Canada, and Meals on Wheels, as well as Junior Achievement of Canada and Junior Chamber International. Khaled is married to Asma, and has three children, Noor, Jena, and Muhammad.